I have this thing about breath. I'm not so concerned about those that just had coffee or ate roasted garlic. It's more about the people with the breath that lets you know that they just don't bother to brush. That breath. That breath that goes beyond food or funk. It's like the pure smell of human innards and rot. Look, you only get one chance for a first impression. And more importantly, you only get one set of teeth. 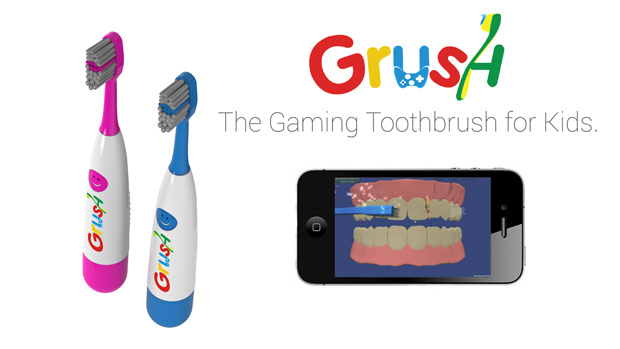 To be honest, toothbrushing game Grush doesn't look like something I'd want to play. But it might work on your kids so they don't have to grow up to be the type of person that has people taking a step back or facing away when they talk. It's motion sensor and wireless link to mobile devices helps it to gameify mouth cleaning, letting kids conduct an orchestra, or pet a giraffe. That's great. Cute. But would kids really dig this? What about one for adults, the ones with the worst breath? 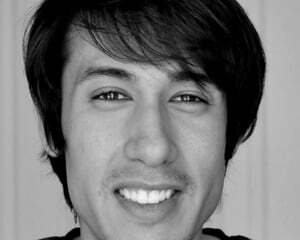 Maybe a cover-based first-person shooter -- quick, pull down to bottom teeth to duck. Wait...hold your fire. Now shoot. Brush. Shoot! Or a roguelike where you have to start in the back left corner of your mouth, brushing to make sure plaque monsters are defeated before moving to the next tooth. I don't know. And worst name ever, right? But great idea. If you're like me and hate bad breath, check out Grush's IndieGoGo. It looks like they're well on their way to their goal already.